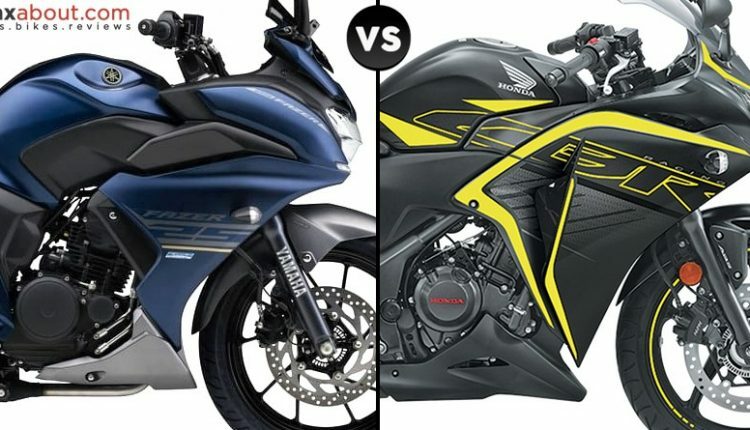 Yamaha Fazer 25 ABS vs Honda CBR250R ABS (Quick Comparison): Yamaha Fazer 25 ABS is now available in India for a price that can put any other faired motorcycle to shame. The quarter-litre motorcycles are now limited in number as most brands have moved to the 300cc segment to extract more power with a similar amount of weight. 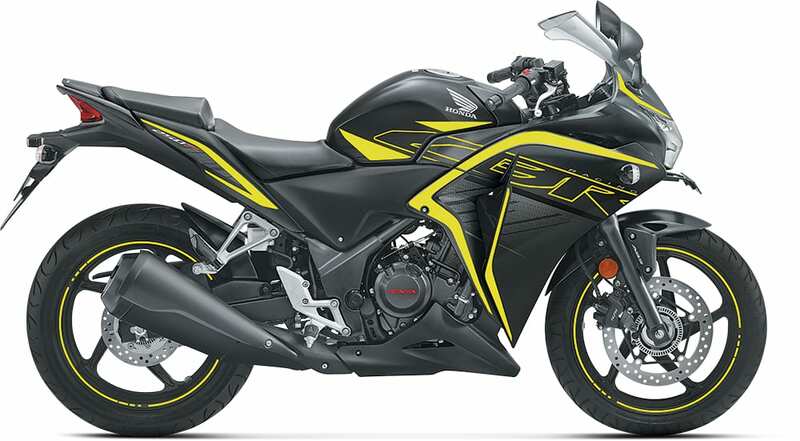 Honda CBR250R ABS is the direct rival to the faired Yamaha motorcycle, with both getting dual-channel unit for the most reliable braking experience. Honda offers a liquid cooled engine with more emphasis on peak power while Yamaha uses an affordable setup with air+oil cooling and emphasis on healthy torque. Both the models are available with single LED headlight design. 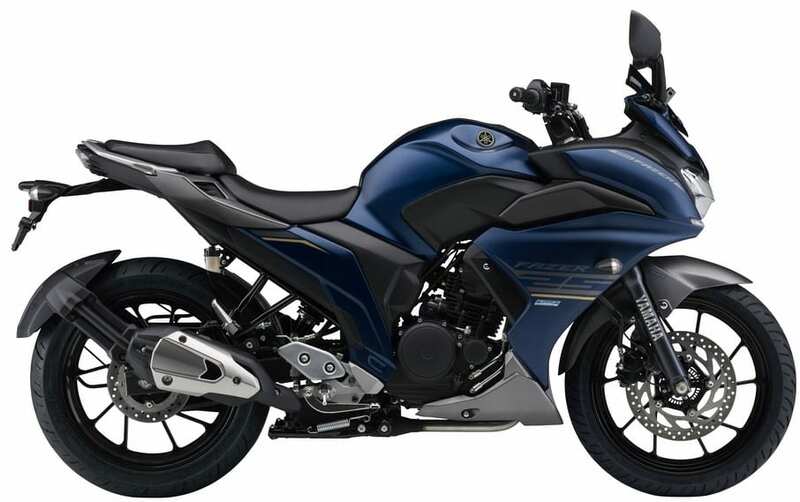 Yamaha Fazer 25 can be bought in Metallic Black and Dark Matt Blue shade while the 250cc CBR is available in Matte Axis Gray Metallic with Mars Orange / Striking Green, Pearl Sports Yellow, and Sports Red. Both the options are great for touring lovers as the stress-free engines can cruise all day long at triple digit speeds. Coming to the cost factor, Yamaha definitely saves a lot of money for the owner as the price difference between both the models is INR 52,000. That amount can help anyone buy a scooter for city-specific purposes. 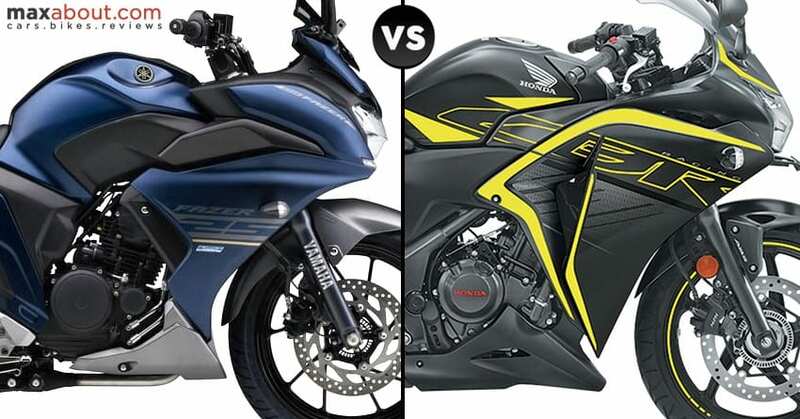 Here is a quick specification-focused comparison between Honda CBR250R and Yamaha Fazer 25.